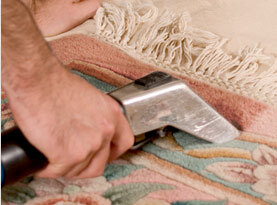 At Crown City Carpet Cleaning we take professional care of your carpets by ensuring that our carpet cleaning technicians are trained in the latest carpet cleaning techniques. This is one of the many ways that our company can offer you the finest carpet cleaning experience in Pasadena, California and the surrounding areas. As a locally owned and operated company, we constantly strive to improve our services with training and education so that we can serve you the best way we know how, by providing exemplary service to each and every residential and commercial customer in the area. Our qualified carpet cleaning technicians use a three step process that guarantees the most thorough carpet cleaning in Pasadena, California. Firstly, our technicians use the latest carpet cleaning equipment on the market including hot water extraction machines attached to truck mounted equipment. 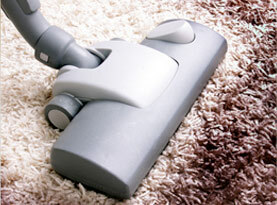 Secondly, our carpet cleaning solutions are non-hazardous. By using natural cleaning solutions, we reduce the risk of allergens and irritants keeping you and your loved ones, including your pets safe and sound. Thirdly, this sophisticated combination of powerful carpet cleaning equipment and quality carpet cleaning solutions work together perfectly to ensure you receive the deep, healthy clean your carpets deserve. At Crown City Carpet Cleaning our upholstery cleaning technicians are trained to expertly treat fabric upholstery including vinyl and leather and restore them to their original shine and brilliance. Your furniture is used on a daily basis and as a result it goes through the rigors of everyday wear and tear. That is one of the reasons why home and business owners should utilize the services of Crown City Carpet Cleaning for professional upholstery cleaning. Our upholstery cleaning technicians can take care of your upholstery and furniture cleaning needs using the power of steam and a deep clean extraction system we clean, sanitize and deodorize all upholstery including sectionals, sofas, loveseats, armchairs and dining rooms chairs and much more. At Crown City Carpet Cleaning our expert rug cleaning technicians can professionally clean all types of rugs including Persian, silk, antique, wool, braided rugs and many more. Our technicians use a process that includes an initial inspection to help identify the best cleaning method for your rug as well as identifying any problem areas such as stains and any additional areas that may be compromised to protect them from further damage. The next step is dusting and dry soil removal using powerful suction equipment which removes much more than regular vacuuming alone. Your rugs will be professionally cleaned to remove tough dirt, odors and stains followed by a drying process using professional drying equipment that will ensure your rugs will dry quickly without shrinking or damage. 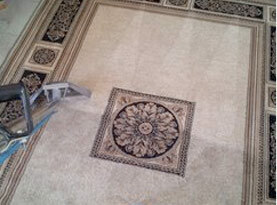 Crown City Carpet Cleaning is your premium tile & grout cleaning service. Our tile & grout cleaning technicians have years of experience in the tile & grout cleaning industry and are the experts when it comes to cleaning ceramic tile, porcelain mosaic tile, quarry tile, terracotta tile, and Saltillo tile. Our qualified tile & grout cleaning technicians will choose the best cleaning method combined with the appropriate cleaning solution for your specific type of tile taking the nature of any stains and grouting material into consideration. At Crown City Carpet Cleaning, we understand the importance of having your air ducts professionally cleaned. Our air duct cleaning technicians will inspect the air ducts and determine the correct cleaning methods for your system. Once our cleaning is complete we will test your system to make sure it is working correctly to further ensure your complete customer satisfaction. Your hardwood flooring has many features that make it appealing to home and business owners. Hardwood flooring is one of the most popular choices of flooring and is often used as a replacement for other types of flooring including linoleum and laminate. Hardwood flooring requires regular care to keep it in top-notch condition but even with regular care and maintenance hardwood floors need to be refinished. Over time dirt, grit and other particles are brought from inside your home on your shoes and other items. Dirt and grit will wear away the upper layers of polyurethane which over a period of time will lose its shine and luster. Our hardwood floor refinishing technicians will sand off the upper layers of polyurethane before reapplying a fresh coat. Any damaged areas can be repaired by filling in the gaps before applying several coats of polyurethane to make them look just like new. If you are experienced water damage you can rest easy knowing that the damage can be restored back to its original condition. When your carpets are exposed to water damage caused by flooding the damages can be substantial. At Crown City Carpet Cleaning, our knowledgeable water damage restoration technicians can restore your wet carpets; hardwood floors and furniture back to their former beauty. •	Water extraction – using powerful water extracting machines to remove all traces of water. •	Fast response – water damage must be taken care of as soon as possible. At Crown City Carpet Cleaning our technicians are available 24/7 for your water damage restoration emergency to give you the help you need quickly and prevent further damage to your carpet hardwood floors and upholstery. Contact us today to schedule your next appointment for floor and upholstery cleaning!